I am very pleased with the research carried out for me by Anne in relation to two family lines from Lincolnshire. In both cases, previous research had reached a brick wall. Anne took up the threads, and carried out meticulous, detailed research which enabled us in one case to identify from strong circumstantial evidence the parents of the ancestor where the genealogy had got stuck before. In the other case, Anne gathered circumstantial evidence to show that our ancestors were probably Protestant non-conformists from the Boston area. Anne explored every possible avenue in trying to trace back further in time. She then produced excellent, well-explained and step-by-step reports which were easy to understand and very thorough. I am delighted to have discovered Leaves Family History. If we decide to explore any more of our Lincolnshire ancestral lines, I will definitely be back. Very good service by an experienced family historian with excellent local knowledge. Anne did a wonderful job in researching my partners family history, albeit a challenging one !. Her approach is friendly and the communications were great. The final book (and may I say a quality item in itself ) made a great Xmas present . I would without hesitation recommend Leaves to anyone who wants a great value, friendly and comprehensive service. Thank you. Thanks you so much for the in depth report going back to early 1800s. Hugely appreciated and very detailed. Highly recommended! The advantage of seeking individual guidance when searching a family tree cannot be understated. I had thought about joining an evening/day class but you wouldn’t get such attention. Anne introduced us to various family research websites and advised us on the best way to search. She obviously has a wide knowledge of the subject and probably saved us days of unproductive searching. Thank you for the coaching session at the East Riding archives. I really learned a lot and progressed quicker than I would have done without your help. Many thanks and I will no doubt be contacting you in the future. The Genealogy course through Leaves Family History was very helpful for learning how to research Ancestors in the United Kingdom. Anne was very attentive and opened my eyes to researching my family that came from London, England! Being from the United States there is lots to learn about researching in the UK and I am very grateful I found Anne’s course through Cyndi’s List. Your online course was brilliant, easy to follow and the help I received from you was 100%, in the past when asking questions about family history to other “experienced people” I received “and’s, if’s and but’s” without a clear answer, yours were direct answers to my questions, how refreshing when compared to others. At our March meeting this year (2016) we had an unknown speaker to our group Mrs Anne Sherman, who had put together her newest talk. So we did wonder what to expect. It was entitled “Parish Registers: History Gaps and Usage”. I know that it certainly surprised some of our members, you think you know all there is in relationship to parish registers, but you are wrong. This was a brief history of how parish registers in England and Wales came into being, and the ways that they have changed over the centuries. I am sure we have all come across the registers where there were things written in the margins to make use of the paper. Not very good when one of your own is hidden away somewhere in those. It also looked at why there were gaps in some registers, (Again usually the one you want) the reasons that they were brought into use, and moving into the present time how to access them online. I thought it might be all full of dates and no story but Anne certainly knows what she is talking about, and she put the talk over very well. I would certainly recommend this talk or any of her others. “Anne Sherman gave a talk to the members of Howden and District U3A entitled Family History: Getting started. Anne gave a clear outline of the nature of Family History and illustrated various aspects by means of a very helpful screen presentation. Her talk was well attended and much enjoyed by the audience. Conducted Research for BBC One’s Who Do You Think You Are? 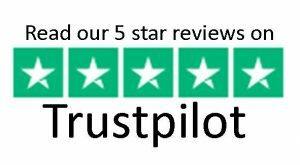 Customers have also added their reviews of my services on Yell.com, Trustpilot and Google. If you would like to know more about my services, or add your comments to my reviews section, you can contact me by email or via the form on my Contact page.